How did the Peter Stark Producing Program prepare you to work in the industry? In an intense two years, we unlearned and learned pretty much everything we needed to for producing, writing, and creating engaging and meaningful content. Stark was pre-designed for students to get a good grasp on all aspects – the creative side and business of making films, TV, digital content, animation etc. We got real-world knowledge not just theories. What is your most memorable experience as a student at SCA? Meeting, working with and making friends with the most talented filmmakers and the most inspiring human beings! When I moved to LA from India in 2013, I didn’t know anyone in the city, let alone anyone from the filmmaking community. It could be scary, but there’s this oddly apt inscription on the façade of SCA that says “Reality Ends Here.” There’s a strong culture of collaboration, where it’s the entire SCA family helping each other improve in our craft. It’s priceless to know that my SCA family will always be there for work or life. What has your career journey been like since graduating from USC? I produced several projects in Los Angeles and India since I graduated in May 2015. I’ve been fortunate to be part of some meaningful short films and web-series in the last few years through the USC family. 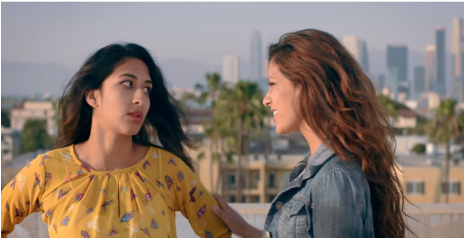 Our successful web-series The FOB and I, created by fellow USC alum Meenakshi Ramamurthy, which takes a look at the immigrant life in LA through the eyes of two contrasting Indian female leads, has won many hearts and accolades. We received a development deal to produce Season 2 at SeriesFest, as part of the Seed&Spark New Voices Rally. I had the opportunity to produce a beautifully bittersweet short film Mr. Goode (directed by fellow Starkie Assaf Mor), which follows a dysfunctional family as they say goodbye to their dying father. I was involved in producing a hilarious web-series Titus and Dronicus - a modern take on Shakespeare’s Hamlet - told through the eyes of two bumbling private eyes in LA. 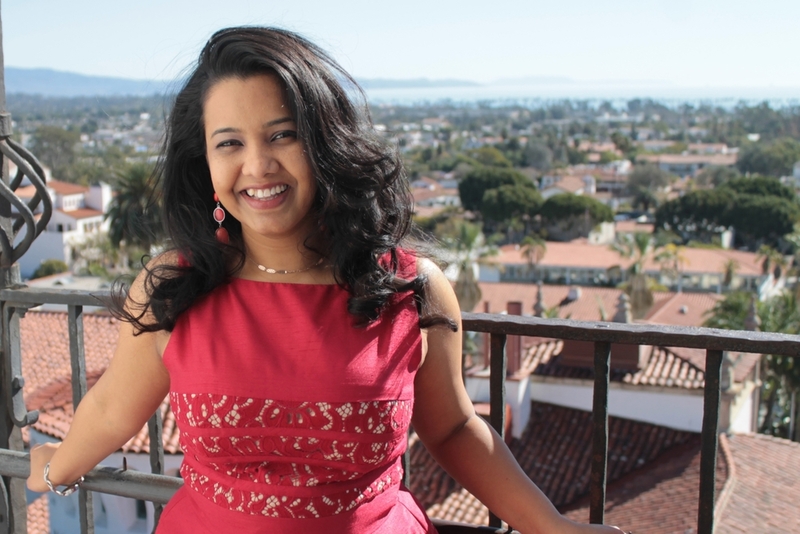 Two of the writers Madhuri Shekar and Megan Kelly are alumni of the USC School of Dramatic Arts. While working as the lead producer and head of development for the production company Upper Diamond, I led video production for clients like Kelley Blue Book, Salesforce, Ken Blanchard etc. The highlight was a hilarious web-series we did in association with Rainn Wilson’s company SoulPancake, and writer Michael Bachmann, called “Kat”, which is now on Amazon Prime. The lead actor was an actual cat. It was so much fun (and distracting) to work with a couple of adorable animals on set! I’ve also been involved with a food media company Greed Goddess Media that produces innovative food shows for television. You can say it’s been the best of both worlds for me, and I hope to continue making more opportunities to create great content in both countries. You have a Bachelor’s degree in Computer Engineering, a Master’s in Production and you are also a graduate of the SCA's Peter Stark Producing Program. How do these different degrees come together in your career? It’s an unusual path for sure, but it’s helped me be a better producer! Understanding technology is as important for a filmmaker as understanding the art of storytelling. I think in a way, engineering helped me understand the tools and technology I need for making a film, production trained me to manage resources and people to tell a story, and Stark taught me what makes a great story and how to tell it! What are the main differences between your experiences working in both Bollywood and Hollywood? Both industries are unique in how they approach content… Over a billion people in India and many other countries are obsessed with Bollywood, so the majority of their films are targeted at a mass market. But indie cinema is on the rise. The biggest change from working in India to working in LA is the exposure to filmmakers from very diverse backgrounds with culture-specific stories to tell, and extremely different aesthetics of telling that story. You have worked on network television, short films and digital content, what are the similarities/differences that you have noticed between the platforms? It sounds cliché but it’s so true – content is king! A good story will always find takers. Digital platforms like Netflix and Amazon Prime are really blurring the boundaries. In a good way, it’s forcing filmmakers to think outside of the box. If you’re making a web-series, it’s intuitive that the plot should be digestible in bite-size chunks; a distracted audience needs constant reminders. With a captive audience in a cinema theatre, we can weave a much more complicated tale and keep viewers engaged. At the end of the day, it’s having a good story that matters, and telling it so it captures your imagination. How did you experience as an Executive Producer with Zee TV, one of the top TV channels in India, shape your career? It was my first job in the media industry and the two years there taught me about 10 years’ worth of producing! I was the young Executive Producer on a small team of five people, and we were producing all the non-fiction content for the mainstream, general entertainment Hindi channel. At any given time, we were juggling big-budget talent hunt reality shows, award nights, live events, etc. and still managing to make highly-ranked, great quality content! It was jumping in the deep end of the pool, but I think that fast-tracked my learning and I owe where I am today to those years in the trenches of TV production. How did the idea for the TV series Kat, which you produced, come along? Can you tell us about the creative process and the decision to showcase it as a short episodic format on a streaming platform like Amazon Video? It all came from the crazy talented mind of Michael Bachmann, the creator of the show. We wanted to capture the very millennial experience of going through an extended ‘quarter-life crisis’. The funny thing was, we decided that if it’s going to be on the internet, it’s going to be a literal cat video! We would make our female lead a literal cat. Our heroine, Katherine (Kat!) is 23, about to be fired from her vague job in an uber-hip agency, broke and her parents won’t lend her another cent. The cherry on the cake was getting Ke$ha to be the voice of Kat! She’s got great comedy chops, and we had the privilege to be the first to showcase that side of her. From the scripting stage, we designed the series as digitally native and integrating social sharing opportunities throughout each episode. Scenes were crafted to be shared instantly as GIFs or memes — complete with their own hashtags so social media users could find them instantly. What has been your experience with being a woman and a woman of color in this industry? There’s ups and downs, as with any industry. I have been fortunate to have worked mostly with people who were willing to accept a woman/woman of color in a leadership role as a producer. Most welcome your unique cultural perspective and will listen to what you have to say. Of course, there have been times when I’ve felt mistreated, or been belittled by a male colleague. Those situations teach you to come back stronger. I think you have to earn the respect of your team in any professional setting, and the best way to do that is to just be really, really good at what you do. The thing that has helped most in navigating this has been some phenomenal female mentors and badass female filmmaker friends. I’ve learned so much just from seeing them deal with the same problems, and it’s been a blessing to have women who will listen and give great advice. How do you hope your work impacts its audience? I do believe that any content should not just entertain but educate. I always aim to take up projects that are thought-provoking, relatable and can spread compassion, tolerance and humanity. I think filmmakers have the burden of responsibility – we talk to a large, impressionable audience globally, and we need to be aware of what we’re saying to them and how we’re saying it. There is an old Indian song that famously says “One day, all that is this world, will be turned to dust. What will remain…are your words.” I hope I leave behind something worth remembering. What upcoming projects do you have in the works? I’ve spent the last year in India co-writing an indie drama feature film The Shoebox, which follows the decline of cinema and single-screen theatres in India as a reflection of a changing society in a developing country. It is set to go into production by the end of the year. Back in LA, I will be focusing on new seasons for The Fob and I where we want to shine a spotlight on current hot conversations around feminism and racism, but through a comedy lens. Do you have any hobbies or hidden talents? Dancing is my passion, and I wish I had more time now with my career to indulge it! I’ve been trained in Indian classical dance since a very young age, and it brings me a sense of peace and discipline apart from being a wonderful way of expression. And I’m an incurable foodie! I’m also an avid traveler, so I’m always looking for the next new place/culture/experience to explore with family and friends.